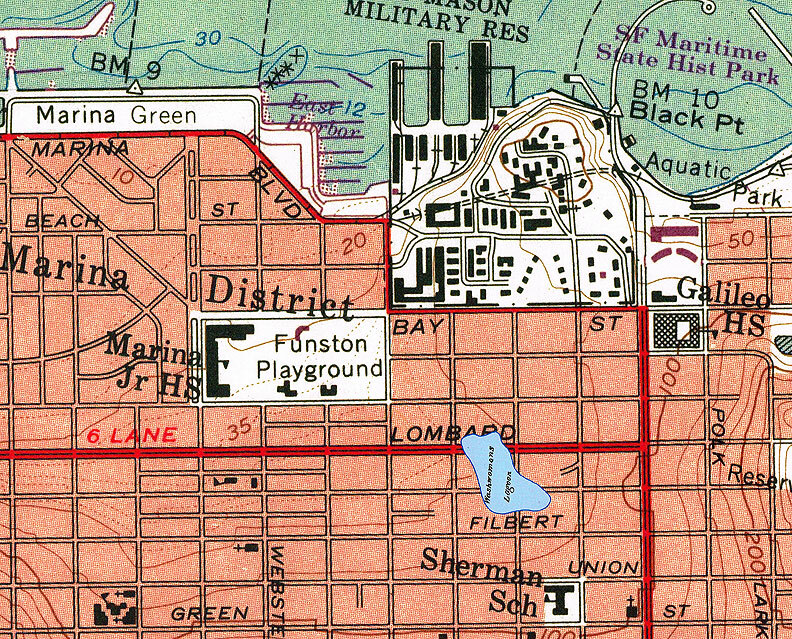 Difference between revisions of "WASHERWOMAN'S LAGOON"
The lagoon was below the heights, where the Marina is now, and in the Fifties and later when the boys in Union blue were tenting those nights on the camp grounds of the Presidio, it was called Washerwoman's Lagoon. From the first days of the Gold Rush, there was a laundry situation in San Francisco. You couldn't get anybody to do your washing, and even if you could have, the charge would undoubtedly have been four or five times the worth of the garments. Consequently, you sent them to Hawaii to be washed, sometimes even to China. 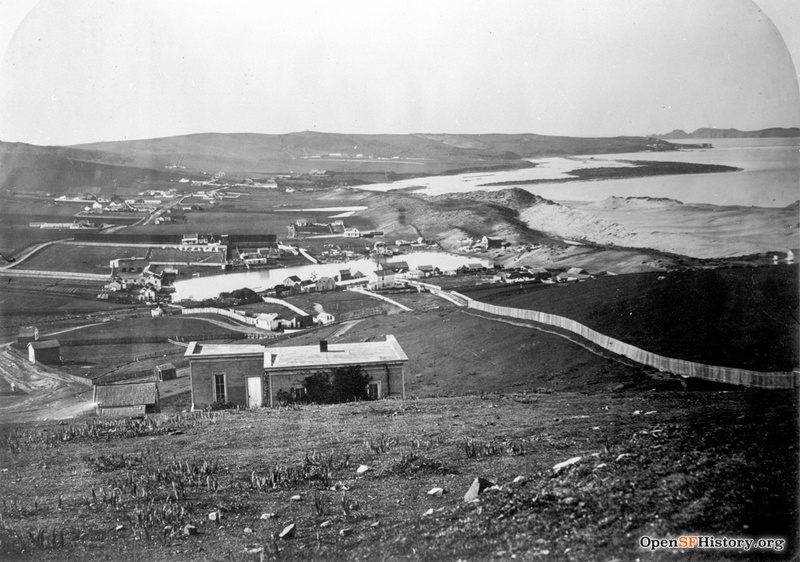 Although it was beyond Russian Hill and out by the Presidio and almost three miles from the plaza, several enterprising Chinese finally decided to establish a laundry beside the lagoon. Then a man named Pratt started another one, a big one that eventually became the Occidental Laundry. And thrifty San Francisco housewives began to go to the lagoon to wash their clothes by hand. They would make a Sunday outing of it, taking their families and their picnic lunches and, in wheelbarrows and dump carts, their washing. After scrubbing and rinsing it down by the shore, they would hang it on the chaparral to dry, and then that night would take it home and iron it. And so the lake became known as Washerwoman's Lagoon. 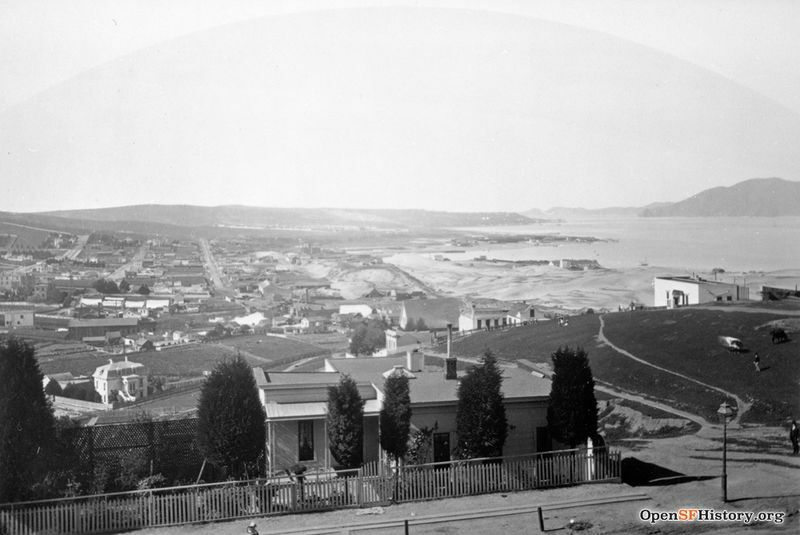 View west from Russian Hill, 1880s. 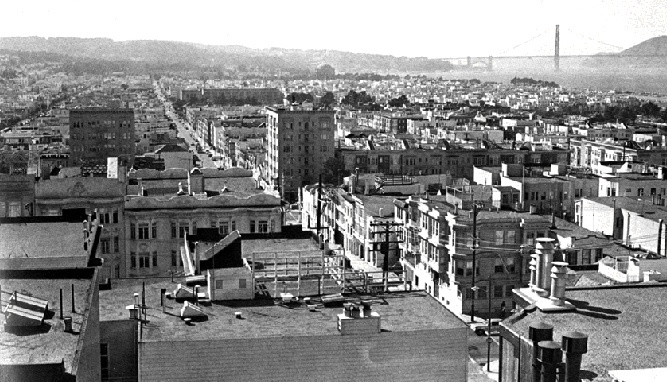 Marina District in the 1990s; Golden Gate on the right, Presidio on the horizon. Washerwoman's Lagoon plotted on to c. 2000 USGS map.